Do you know what happens to your body right after drinking coke? We know! Well, more like specialists figured it out, and we’re happy to collect the information and share with you. 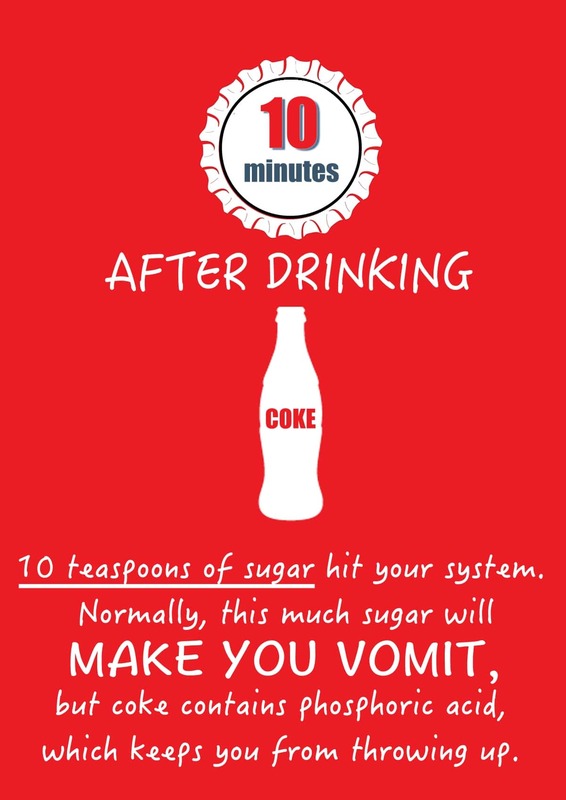 What Happens After Drinking Coke? 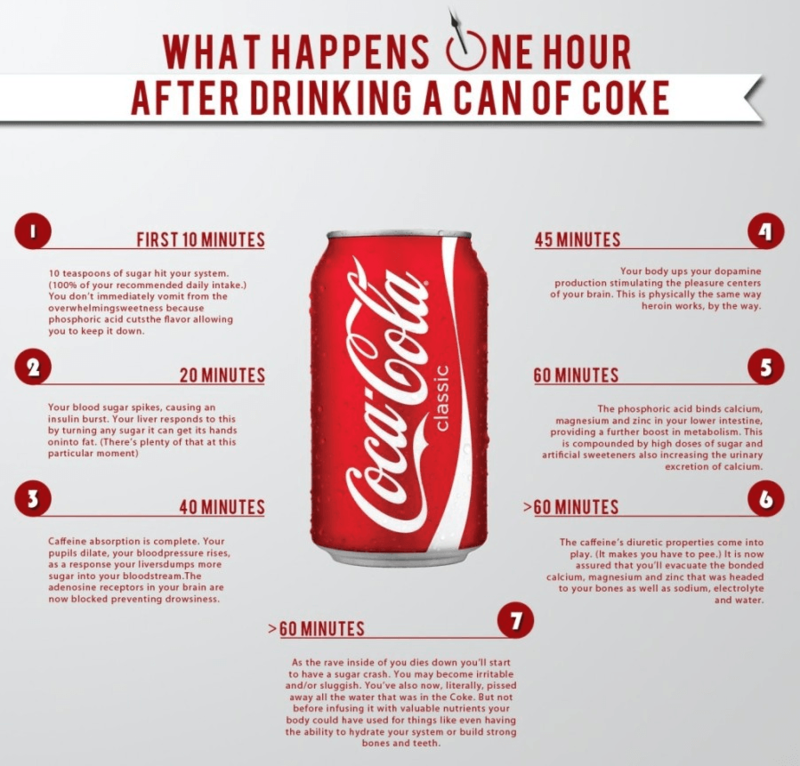 In the first ten minutes after drinking coke (a full can of coke), your body gets about half of the recommended daily intake of sugar (39 grams from 90 grams recommended). This amount of sugar in such a short time should overwhelm your body with sweetness and make you vomit. 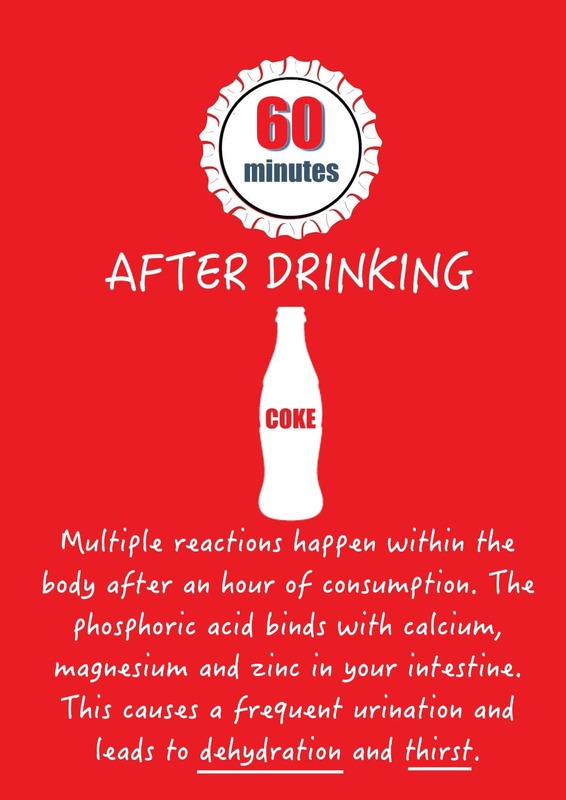 But coke contains phosphoric acid, which prevents this from happening. An insulin burst is caused by the spikes in your blood sugar levels, which triggers the liver to turn any sugar it finds into fat. And since there is a lot of sugar in your body, weight gain is inevitably. Caffeine absorption is complete. Your pupils dilate, your blood pressure rises. 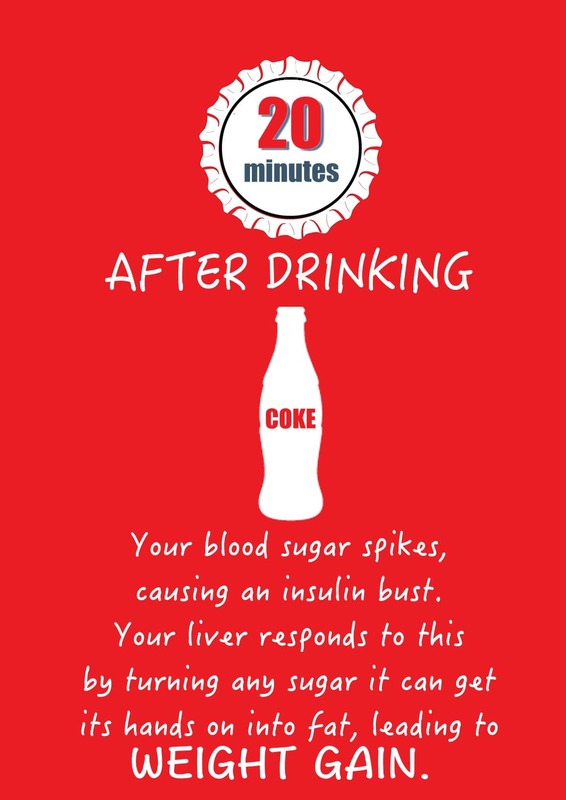 As a response, your liver dumps more sugar into your bloodstream. The adenosine receptors in your brain are now blocked preventing drowsiness. Your body ups your dopamine production stimulating the pleasure centers of your brain. This is physically the same way heroin works, by the way. But don’t worry too much about this, physical activity also increases dopamine production (along with a lot other healthy habits and foods). Increasing your dopamine secretion is not a bad thing, but the way you do it can be. 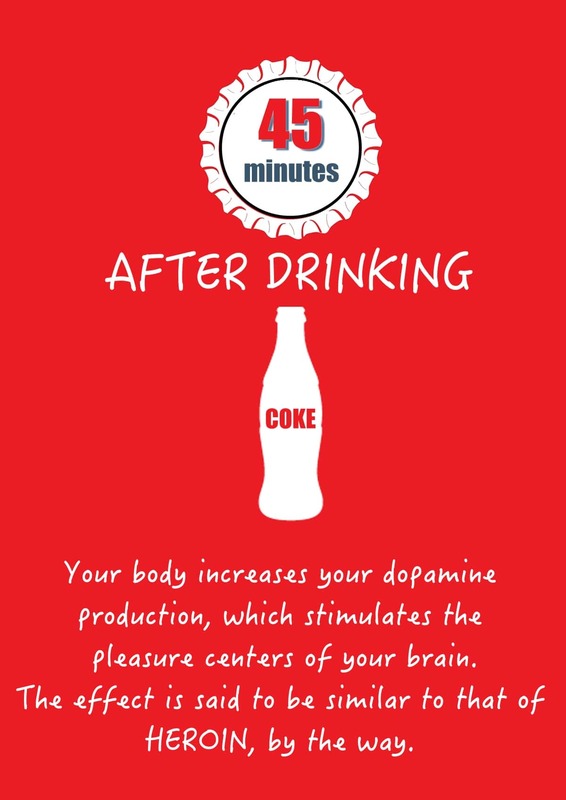 So if you really enjoy the pleasure you feel after drinking a can of coke, you should consider some exercises, or some healthier foods that increase dopamine production, such as avocado, banana, dark chocolate etc. At this time, the caffeine’s diuretic properties make you have to pee often. And when you pee after drinking coke, you eliminate a lot of minerals from your body, such as calcium, zinc, magnesium, potassium. These minerals could serve your body to build strong bones and teeth. You’ve also now, literally, pissed away all the water that was in the coke. The water you’ve just eliminated could really help to hydrate your system. Instead, you’re dehydrated and crave for more coke. Sandy Douglas, president of Coca-Cola North America, admits that he limits himself to a single can of coke a day for health reasons. 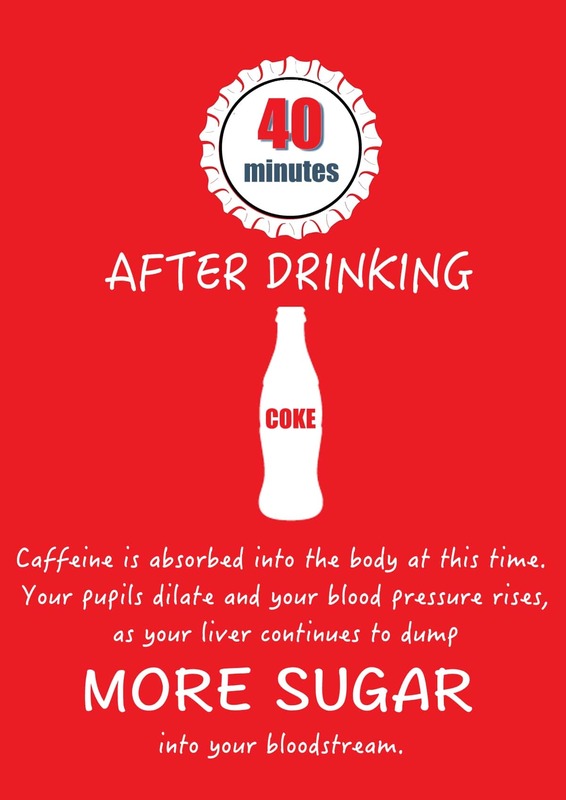 Still, drinking coke on a daily basis isn’t healthy at all, it doesn’t matter if you’re drinking one or 5 cans. However, a small amount of coke now and then wont do any major harm. The key is moderation!